Fenders. mudguards. frienders. dignity savers. undercarriage umbrellas. call them what you will, they are likely the single most important component to wet weather riding besides a rain jacket...and well, wearing shoes. proper Fenders can mean the difference between enjoying hours in the saddle or soaking through in the first twenty minutes. fenders will keep you clean, classy and chipper versus arriving at your destination a dripping gritspeckled mudcaked object of pity. Don't be a gritty glumpus! Wrap 'em and flap 'em! - Aluminum: GOOD: Honjo, PDW, Simworks, Velo-Orange, Handsome. Main advantages are durability, stability, versatility, ease of modification and clean classic lines. - Plastic: BE CAREFUL. Be wary of the cheap plastic clip-ons. The PDW Ponchos, SKS Longboards and Planet Bike Cascadia full-coverage fenders come highly recommended. Built-in bonuses of all three include accessible pricepoint, stay quick-releases and integrated flaps. - Full fender coverage is ideal. Front w/ flap ideally reaches within 3 in of the ground. Rear reaches or extends below chainstays + bottom bracket to keep spray away from drivetrain and feet. - 650b wheel format allows wider tires to run with full fenders. Of course this is easier w/ disc brakes but long reach calipers (Tektro R559) will work w/ rim brakes in many cases. - 20mm clearance between tire and fender in muddy conditions. More mud? More clearance. - Release tabs are highly recommended in off-road situations where sticks or debris are likely to get sucked up inside potentially stopping the wheel. - Fenders are only as good as the installation. Using Loctite on threading and rubber/leather washers will greatly reduce the tendency for things to rattle themselves loose. - On steel forks, running a fork crown daruma will greatly increase stability and rigidity up front. Front fender covers just 90°: Spray from the front wheel goes directly onto feet and drivetrain. Fenders attach to stays with brackets that form dams on the inside of the fender: Water gets diverted and drips off the stays – onto your feet and chain. Fenders are flexible: They resonate annoyingly on rough roads. Fenders have to be pulled into shape for mounting: Inbuilt stresses cause them to break after 2-3 seasons. Bike frame not designed for fenders means: Clearances are tight. Fenders tend to rub on tires. Fenderlines aren’t perfect, so the bike’s appearance is compromised. Front fender and mudflap reach within 5 cm (2 in) of the ground: No spray reaches feet or drivetrain. Fenders have uninterrupted interior and rolled edges: All water stays inside. Most water exits at the bottom, where it drips off the mudflap straight back onto the road. 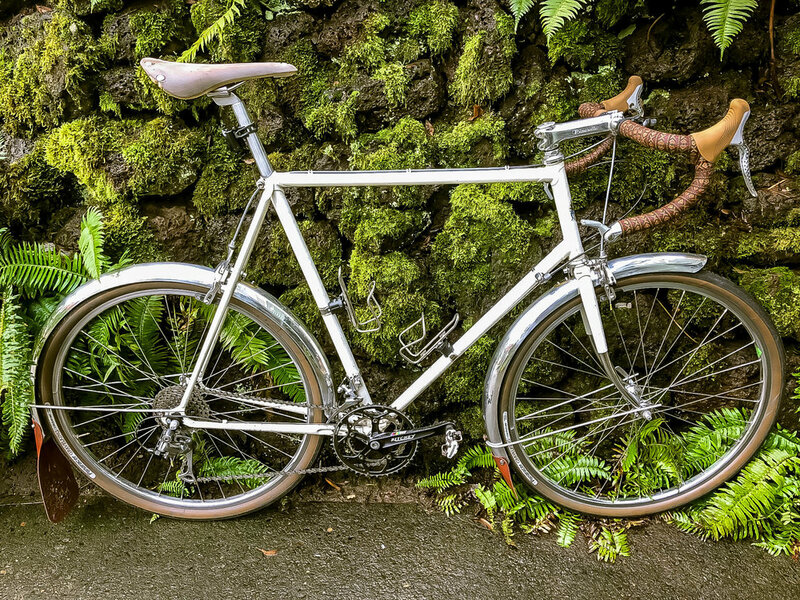 Stiff aluminum fenders bolts directly to the stays: Silent even on the roughest roads. Metal fenders can be shaped to the desired profile: No inbuilt stresses, so fenders last for decades. 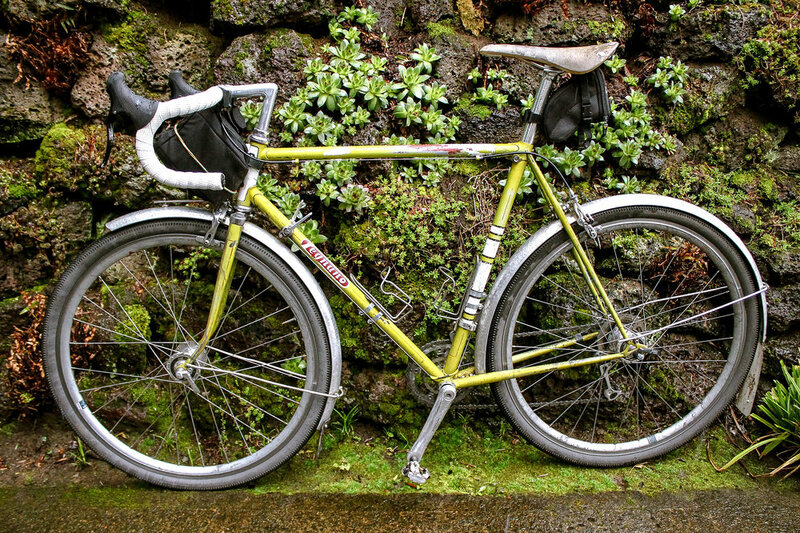 Bike frame designed for fenders: Perfect clearances everywhere and no rubbing ever. Fenders no longer detract from the appearance of the bike. * One thing to note regarding flap height is that ultra-low hanging road style flaps, as seen on the right, while suited for paved and gravel riding can tend to grab onto sticks, branches and debris whenst rolling deeper in the bush. Consider leaving a bit more flap height if you tend to roll rougher terrain and singletrack.